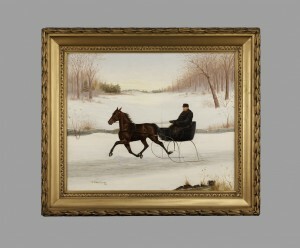 William Garrett Van Zandt of Albany, New York was known for his portraits of animals and especially horses. 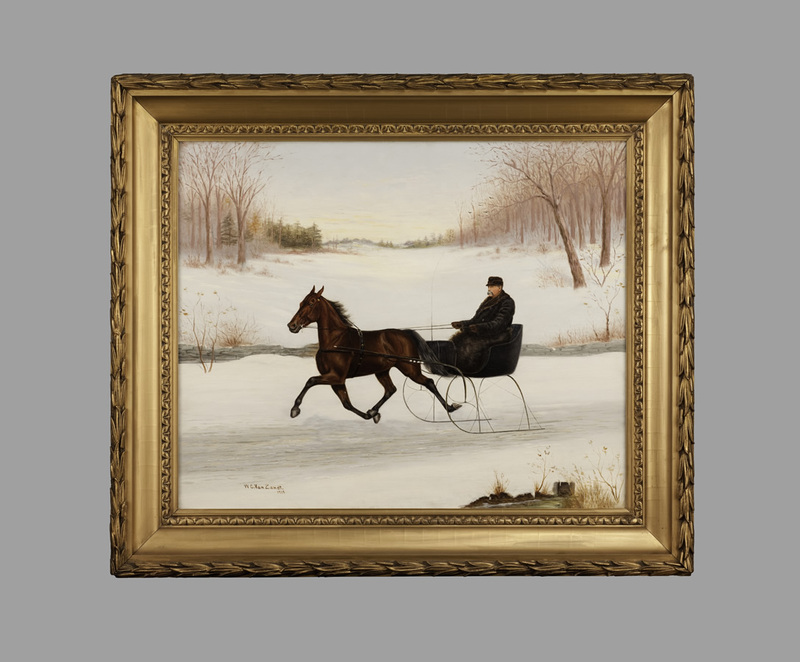 He was the son of Thomas Kirby Van Zandt (1814-1886), a well-known painter of the horses of wealthy New Yorkers. The painting is in excellent condition and is virtually untouched. Original frame. 22 ½ in. X 27 ½ in.